Are you looking for a content management system (CMS) based website ? 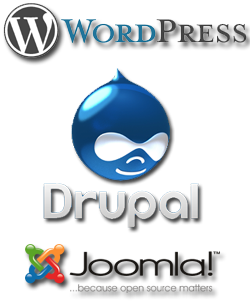 CMS based Website can maintain by yourself without any knowledge of HTML or programming language, we are providing our very sophisticated developed solution by Wordpress Development which gives you ability to managing the site and content . Amitoos Services provide you a different range of services in the Wordpress, Development to turn out the tremendous content management systems & blogs according to your requirement. We exploit the quality & designing ability of Wordpress to build the blogs & CMS websites that are W3C compliant, & Search Engine Optimization affable.